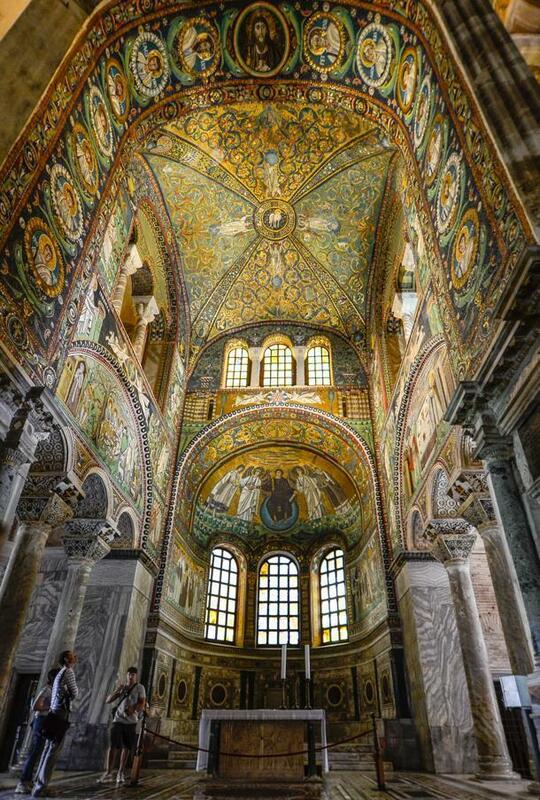 Adi leads us through Ravenna, Italy’s breathtaking mosaics and UNESCO sites in a relatively tourist-free visit. I don’t consider myself a history buff. I love watching documentaries and reading articles about historic events, but I almost never plan my trips based on a history theme. 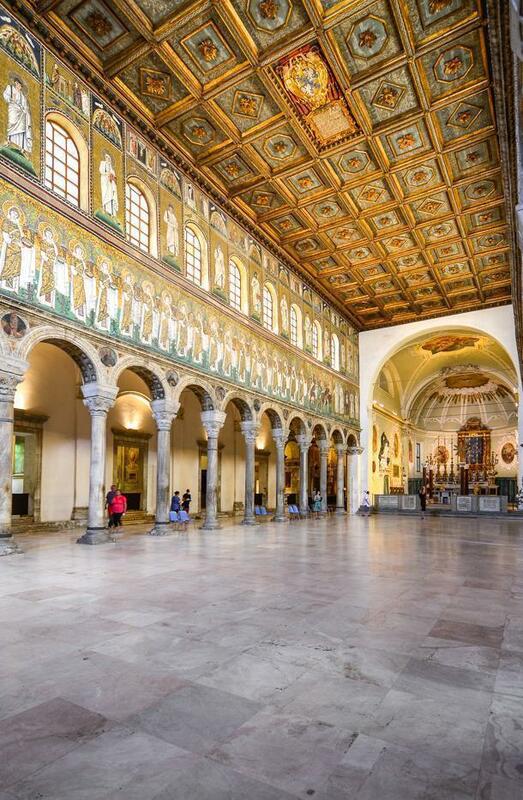 Luckily, my husband is a history junkie, and he always squeezes a bit of history in, so when he mentioned visiting Ravenna, the capital city of the Province of Ravenna, in the Emilia-Romagna region of Italy, I was immediately interested. Why? Because it was the capital city of the Western Roman Empire, and home to the Emperor, from 402 until the empire collapsed in 476. Following the collapse, it was occupied by the Ostrogoths, and in the year 540, it was reconquered by the Eastern Roman (Byzantine) Empire. 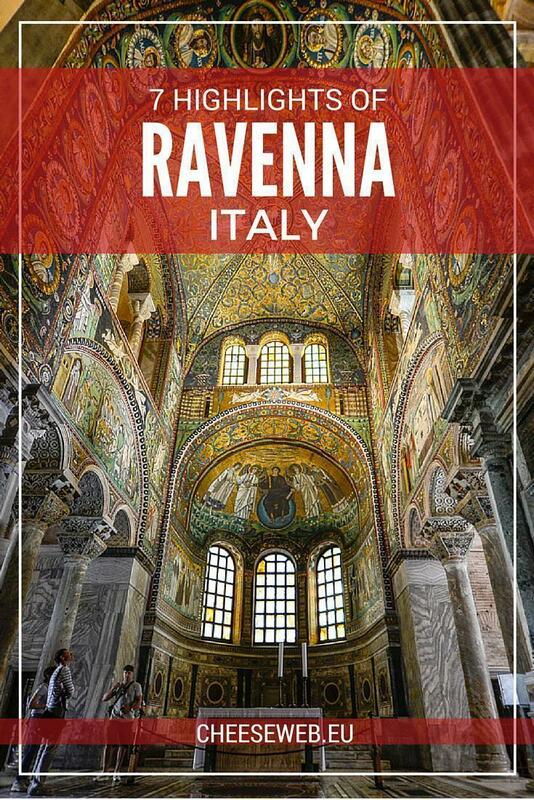 Because we had visited Sicily earlier in the year and had visited the impressive churches and chapels in Palermo, built in the time of Byzantine occupation, I knew I would be impressed by Ravenna. 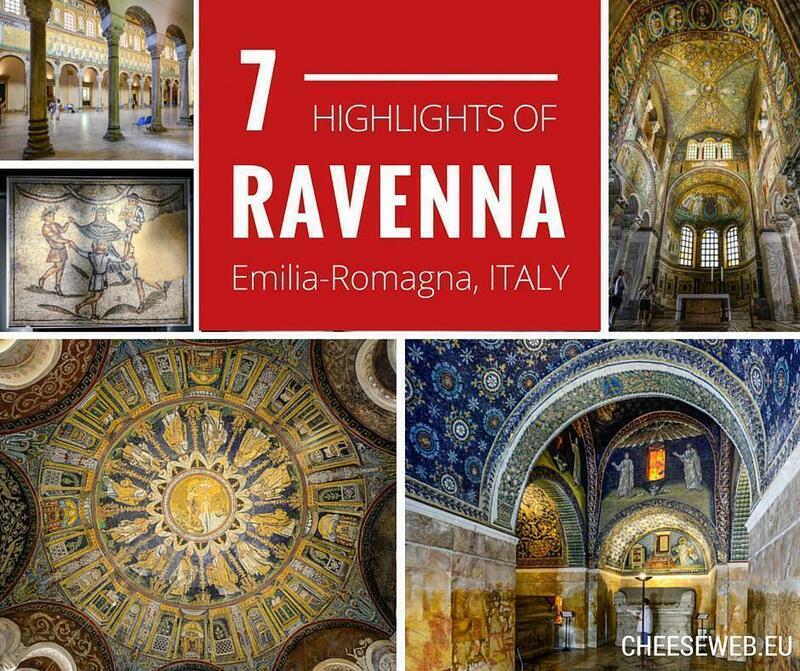 Sure enough, after a little research, I discovered Ravenna is home to eight UNESCO World Heritage Sites, five of which we managed to visit. 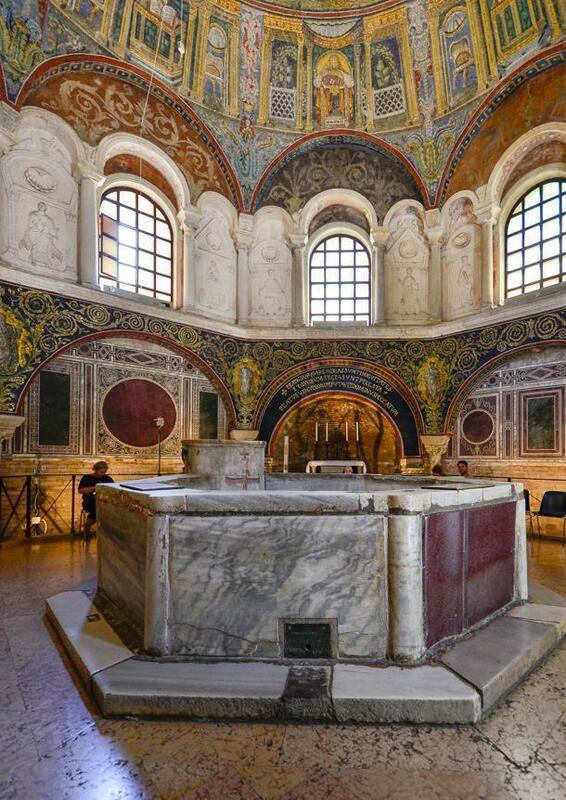 The most ancient monument remaining in the city, the Baptistry of Neon, or Battistero Neoniano, was built on the site of a Roman bath and is said to be the most complete surviving example of a Christian baptistry. From the outside, it’s not particularly striking; it is a small, octagonal shaped structure made of bricks. But step inside and marvel at the mosaic scene on the ceiling representing the baptism of Christ by John the Baptist surrounded by a procession of the twelve apostles. The interior is rather small, and lined with chairs. 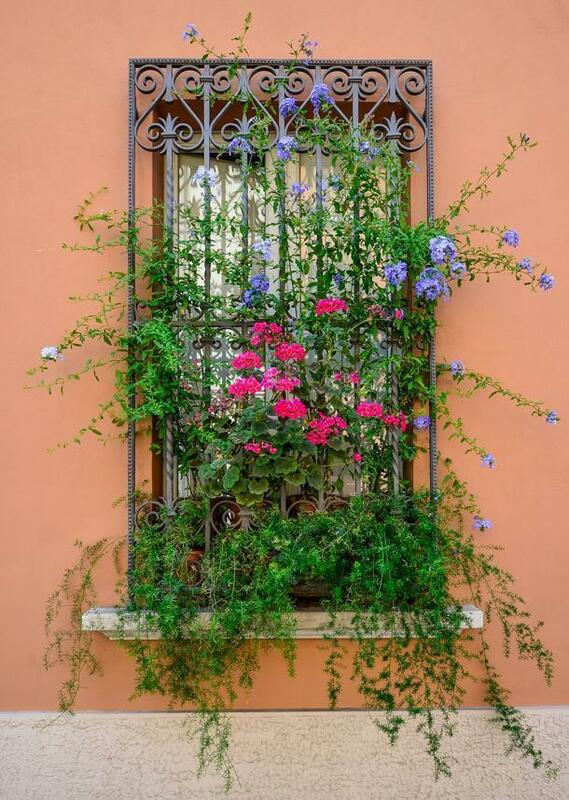 Sit down and take in the beauty in front of you. Like the Baptistery of Neon, the structure is tiny, and you are only allowed inside for five minutes on a busy day and flash while photography is forbidden. 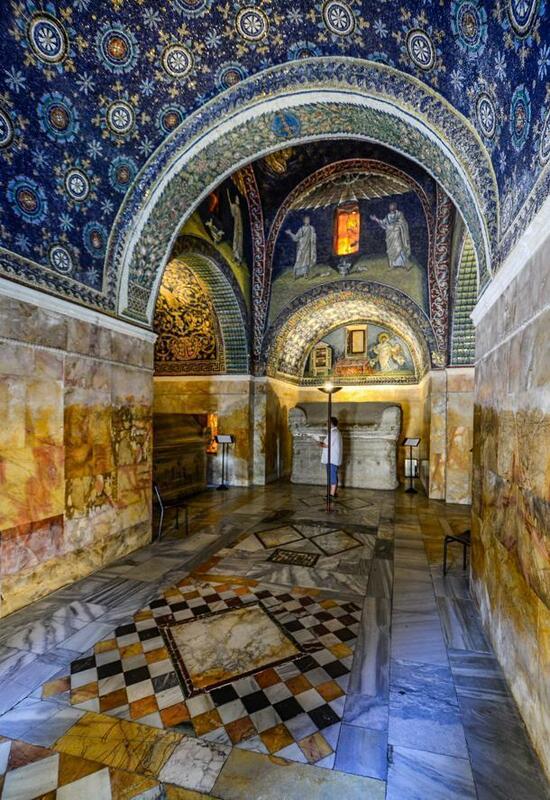 Luckily for us, at the time of our visit, the city of Ravenna was free of tourists, so I took my dear sweet time with the Mausoleum of Galla Placidia. When you visit, you will understand why. 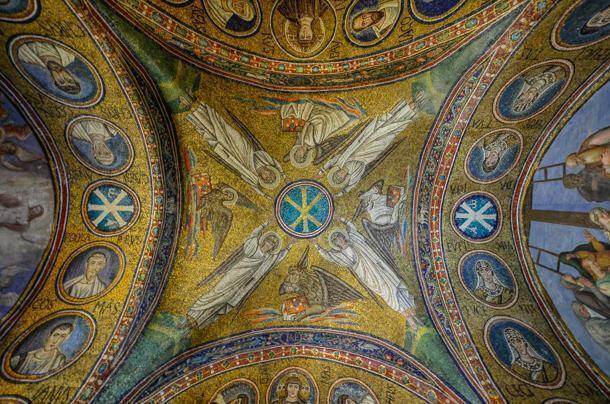 Extraordinary mosaics cover the entire ceiling and walls halfway down. Once inside, you cannot take your eyes of the walls. 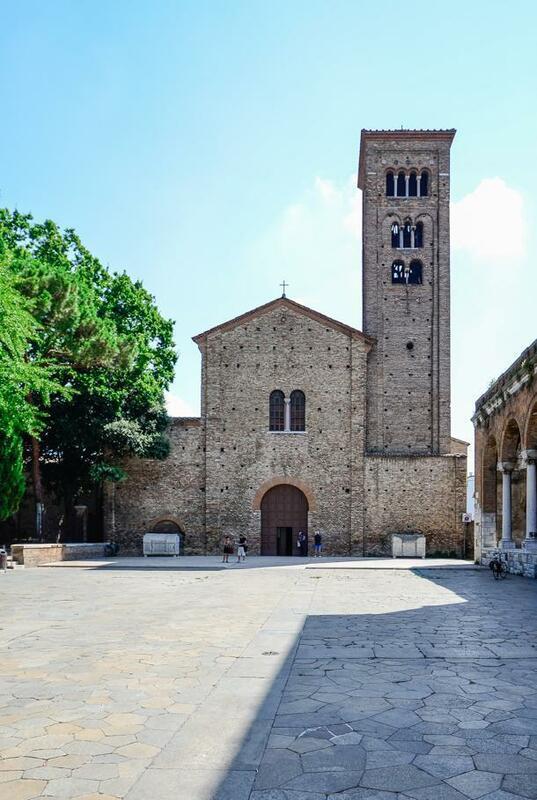 The Basilica of Sant’ Apollinare Nuovo was erected by the Ostrogoth King Theodoric the Great, as his palace chapel during the first quarter of the 6th-century. It was re-consecrated in 561 AD, under the rule of the Byzantine emperor Justinian I. You can see the mosaic of his portrait on the wall, by the entrance in the basilica. We entered the Basilica expecting it to be busy, but like with the other visits, there were only a handful of people. There are chairs aligned with each column so you can sit down and observe the mosaics. You will see that the tiles are slightly blackened. According to legend, Pope Gregory the Great ordered the mosaics be blackened, as they distracted worshipers from their prayers. Free tours are available at certain times throughout the day. Julius Argentarius, a Roman banker and architect, sponsored the construction of the Basilica of San Vitale. The final cost amounted to a staggering 26.000 gold pieces. This visit was probably my favourite. The basilica is beautiful on the outside, but step inside and your jaw will drop. The octagonal plan is supported by huge stone columns. 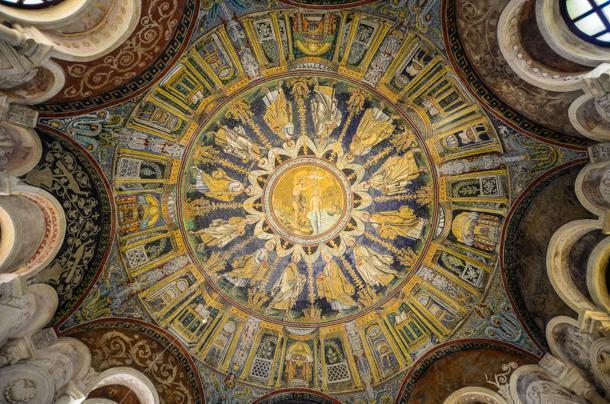 The ceiling of the dome is elaborately painted, and the Presbytery is entirely covered in mosaics. The interior is out of this world. I would have stayed there much longer than I could. Even my kids were in awe. 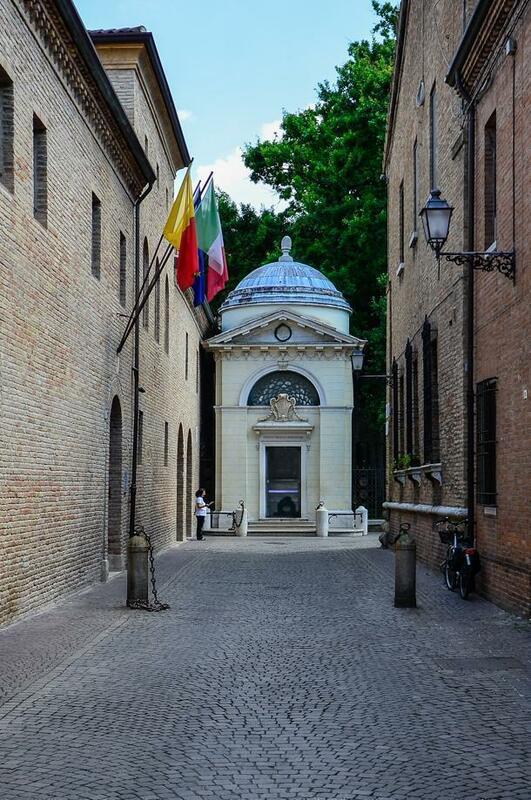 You will find the Archbishop’s Chapel on the first floor of the bishops’ palace, in the Archiepiscopal Museum of Ravenna, and it is the smallest of the famous mosaic sites of the city. It is a private oratory dating from the turn of the 6th century, dedicated to St. Andrew. Again, stunningly beautiful mosaics dress the ceiling depicting Christ treading on the beasts, dressed as a general or victorious Emperor, right above the door. The central part of the little chapel is entirely decorated in mosaics. The International Council on Monuments and Sites evaluated this UNESCO World Heritage Site as “the only Early Christian private oratory that has survived to the present day”. I will be honest and say that after seeing the Archbishop’s Chapel the rest of the museum was unimpressive. 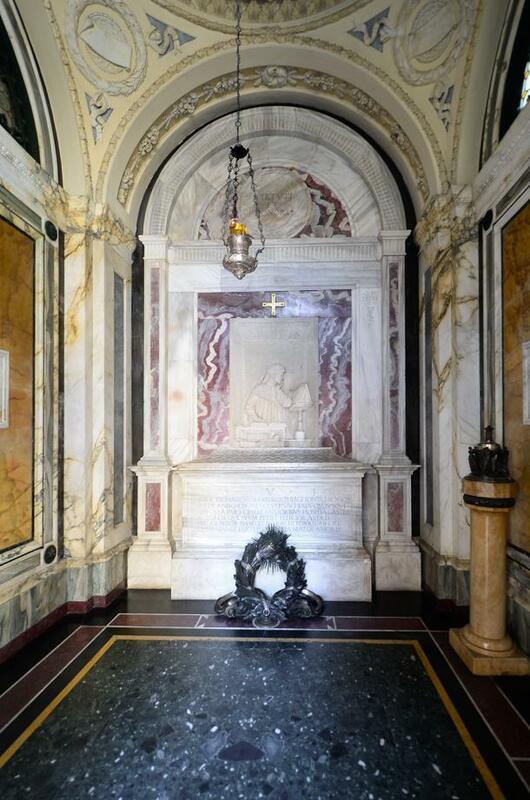 It contains a series of inscriptions in marble and a few artefacts, but the chapel is the star of the show. Tip: Buy a combined ticket for all five visits. We bought ours at the Basilica di San Vitale and the price for our family of four was 27.50 euros. Children under ten years old enter free. Apart from these UNESCO World Heritage Sites, we also visited Domus dei Tappeti di Pietra, an archaeological site of the city of Ravenna, located in a subterranean, modern environment about three meters below the church of St. Euphemia, just 100m walk from Basilica of San Vitale. 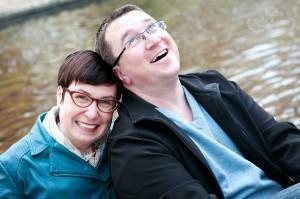 We did not plan this visit; we just saw signs to it on the way to the basilica. Once inside I was thrilled I followed the signs as the mosaic floor display is well worth your time. The tiles show incredible geometrical and floral patterns. 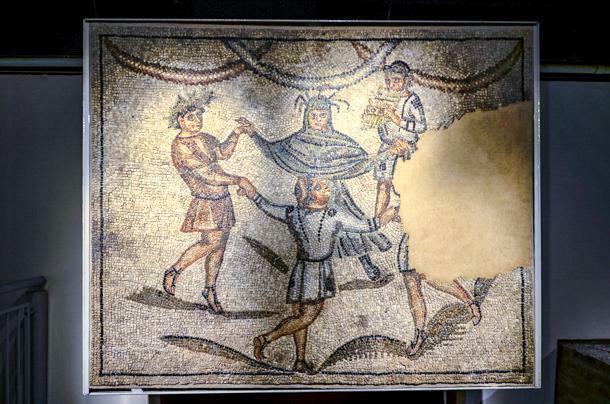 One particular scene is unique – “Dance of the Geniuses of the Seasons” – a very rare depiction of the geniuses dancing in a circle. 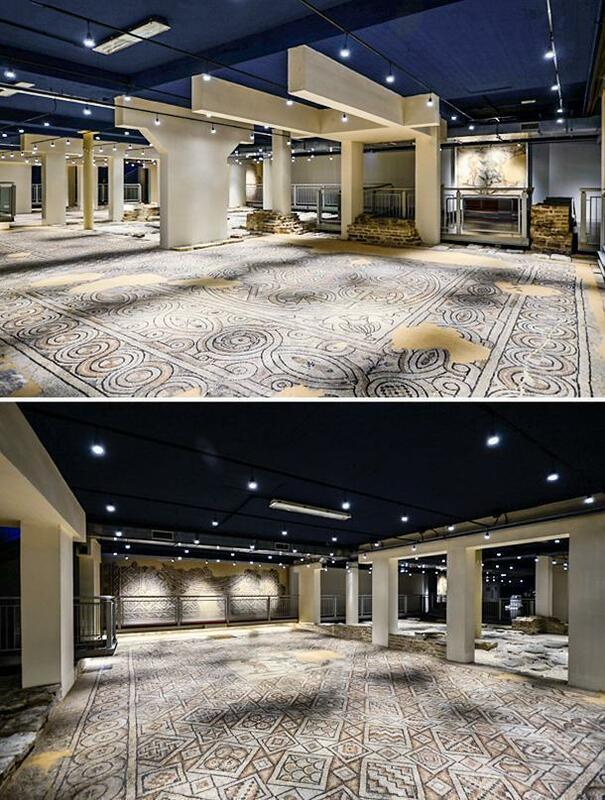 I loved how easy was to navigate the space with ramps built on top of the floor set up in such a way as to offer perfect views of the mosaics. Here too we were completely alone which I loved. The only thing better than looking at beautiful mosaics is doing so in peace and quiet. A bonus visit, unrelated to mosaics, was Dante Alighieri’s grave situated at Via Alighieri next to the Basilica of Saint Francis. The story of his burial is quite interesting. If you visit the tomb, make sure you enter the Basilica of Saint Francis as well. It dates from the 5th century, and it’s the location where Dante’s funeral was held. 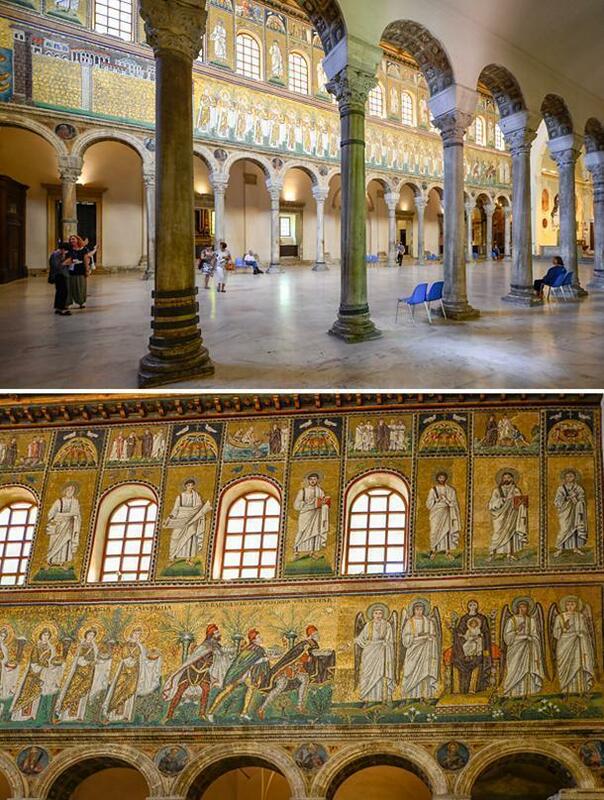 I am ashamed to say before visiting I had no idea about Ravenna’s rich past and glorious mosaics. I have hubby to thank for introducing me to this beautiful medieval city. It was probably the nicest, most relaxing visit we’ve ever had while in Italy. 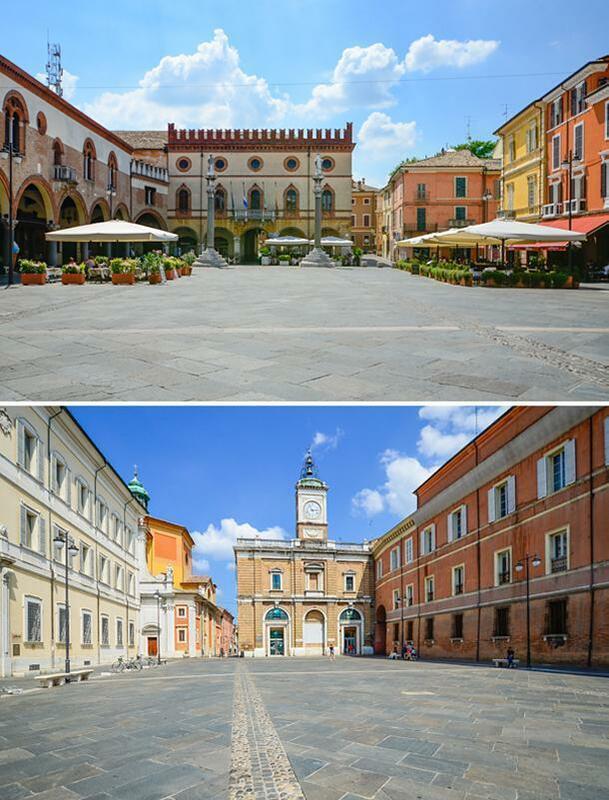 While cities like Rome, Florence, and Venice are overrun by tourists, Ravenna was pleasantly empty. There were no tour groups, no bumping into people, no selfie sticks; unthinkable in summer, during the peak of the tourist season. I suspect the proximity to the beaches of the Adriatic Sea had something to do with it. Whatever the reason, I enjoyed walking the labyrinth of narrow, empty streets and will return to Ravenna soon, as we only saw a fraction of what this beautiful Italian city has to offer.